There are a lot of shopping malls. And you don't have to travel very far between them. With 7 major shopping centers located within a 25-square mile radius, New Jersey holds the nation's record for most shopping malls located in one area. 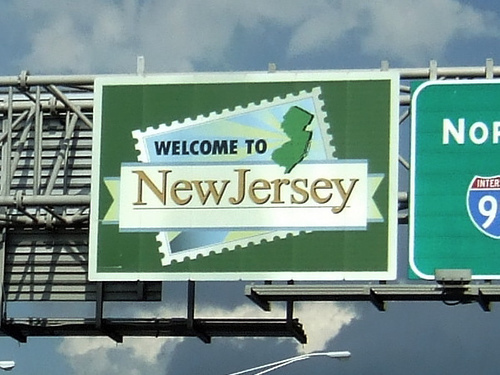 New Jersey gets a bad rap. Sometimes referred to as "the armpit of America" by residents of other states, the peninsula is actually a pretty unique place that has a lot of good qualities. Unfortunately, people often form their opinions and judgment on the state, not for its major contributions and offerings to America -- such as being the first state to sign the Bill of Rights, or being the diner capital of the world (hey, breakfast is important )- -but for the fist-pumping monstrosity that was the MTV "reality show" Jersey Shore. If all there was to the Garden State was what was depicted on the show then, sure, it's understandable why so many would find it rather unappealing. But there's so much more to it than that. As with anywhere else in the world, it has pros and cons. There are a lot of interesting facts about the state of New Jersey, and while they may not be reason enough to up and move there, they are, at the very least, interesting -- even if some are quite strange (like the fact that it's illegal to plant trees in the middle of the street in Blairstown. You know, just in case that's something you wanted to do). It is/was home to many of America's biggest icons and legends. Imagine how much more credible the state would probably seem if people knew that people such as Frank Sinatra, Bruce Springsteen, Jack Nicholson and Whitney Houston were born in New Jersey, rather than assuming "Snooki" and "The Situation" are the biggest celebrity natives. And home to many other people -- record-setting amounts, in fact. With a population of nearly nine million people, New Jersey has the highest percentage of population density in the United States -- with 13x the amount of people living per square mile than the national average, and is the only state in the country to categorize all its counties (21) as metropolitan areas. Tourism is the second largest industry in the state. Trying to catch a glimpse of the Jersey Shore cast isn't the only thing that draws tourists here, either. It is the home of Atlantic City, which has the longest boardwalk, as well as the tallest water tower, in the world. From beaches to cityscapes, it also offers amazing and scenic views, including 127 miles of coastline running along the Atlantic Ocean, and 790,000 acres of farmland. With so many people arguing that New Jersey is one of the most hated states in America, it's hard to wonder whether or not this opinion would be so widely shared if more people were aware of these kinds of facts. Though, at the end of the day, these negative views and opinions probably don't matter to the (considerably large) population of residents of this state. They're too busy enjoying the perks.